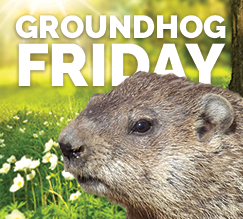 Welcome to our most recent edition of Groundhog Friday, an occasional feature highlighting repeat offenses. Follow the links to our original articles for more information on our debunking of the claims. Monthly renewable energy production has increased by about 48 percent from January 2009 to March 2016, far from the 100 percent increase Obama claimed. While it is true that wind and solar power have more than doubled since 2008 (they’ve nearly quadrupled, in fact), they represent only part of the renewable energy picture. Less than a third of renewable energy consumption in March came from wind and solar, while hydroelectric power and biomass accounted for nearly 70 percent. Obama has repeated this talking point multiple times. In a June 1 address in Indiana, he said, “We’ve … doubled the clean energy that we produce.” He made the same claim that the U.S. “doubled clean energy production” in a speech to House Democrats in January 2015. He also made similar claims back in 2012. Trump has claimed that the United States’ trade deficit with China is much higher than it is — it was $367 billion last year, not $505 billion, as he has said multiple times. In fact, this is the third time we’ve included this claim in a Groundhog Friday report. Also, in a June 28 speech in Monessen, Pennsylvania, he said, “Today, we import nearly $800 billion more in goods than we export.” True, but that’s a reference to the trade deficit for goods only, which was $758.9 billion in 2015. The U.S. exports a lot in services. The United States’ total trade deficit was $531.5 billion in 2015. Trump wrongly claimed that the United States is “one of the highest taxed nations in the world.” Though the U.S. has one of the highest business tax rates, U.S. personal taxes don’t even break the top ten among industrialized nations. In February during the 10th GOP debate, Trump said Americans “pay more business tax, we pay more personal tax” than residents anywhere else in the world. We found that the U.S. has the highest business statutory tax rate among industrialized nations, but it was second to France when considering the marginal effective tax rate, according to an analysis by the Tax Foundation. As for personal taxes, the U.S. ranked 27th out of 30 countries among industrialized nations when it comes to tax revenues as a percentage of GDP in 2014, according to the Organisation for Economic Co-operation and Development. And it ranks 17th out of 29 industrialized countries when it comes to tax revenue per capita. Trump continues to claim that he opposed the Iraq War before it began, but we couldn’t find any instances of him speaking out against the war before it started. And he has provided no evidence of it. Trump had a financial interest in opposing the war in the weeks leading up to it, but the first definitive instance we could find of Trump opposing it was on Sept. 11, 2003, about six months after the war started. Trump incorrectly said — again — that the North American Free Trade Agreement was signed by Bill Clinton, when the agreement was negotiated and signed by Clinton’s predecessor, President George H.W. Bush. It is true that President Clinton signed the bill enabling NAFTA in 1993; however, it took Republican congressional support to get that bill to his desk. The Senate passed the North American Free Trade Agreement Implementation Act, 61-38, in November 1993, with 34 Republican votes, and the House passed it 234-200, with 132 Republican votes. The last time we wrote about this — in another Groundhog Friday item — Clinton said the “average” American hadn’t had a raise since her husband left office, which was about 15 years ago. As we said then, real average weekly earnings for production and nonsupervisory employees actually had gone up. The latest numbers from the Bureau of Labor Statistics show a 9 percent increase since January 2001. This time, though, she said “most” Americans, and the median pay would be a better measure for that. But median weekly earnings for full-time workers also went up, albeit not by as much. Those earnings, also adjusted for inflation, were $333 for the first quarter of 2001 and bumped up to $346 for the first quarter of 2016, a 4 percent increase. When Sanders makes this popular talking point, he typically says “lower wages,” as he did in a Dec. 29, 2015, Facebook post, a Jan. 14 tweet, and a campaign ad from November. However, as we wrote before in a previous Groundhog Friday, Sanders mixes and matches two different sets of data to make his claim. As we wrote then, figures from the Bureau of Labor Statistics show average weekly hours and average weekly earnings both declined for production and nonsupervisory employees from 1965 to 2015. But the Sanders campaign cited BLS data showing hourly wages went down slightly from 1975, and then pointed to a Brookings Institution report that found the total number of hours worked by two-parent families in the middle 10 percent (in terms of earnings) had gone up — mainly because more women entered the workforce. The Brookings report found that the median wages for those families also had gone up — so they were working more hours for higher pay, not more hours for less.